I love the price and the convenience. Staff is very knowledgeable and helpful. I needed a larger unit and their recommendations were perfect. Good price, convenient area and very secure!!!! A Storage Solution of Destin would like to thank you Regina for leaving a 5 star review. We are conveniently located off of Highway 98 (Harbor Blvd) in the heart of Destin. My wife and I recently rented a unit at this location. We did so based on a recommendation from a family member who previously rented here. The management team has been wonderful from the first phone call through check-in. Having rented units in multiple states, this property and my experience is highly recommended. Mr. Gavin, It is always nice to hear how A Storage Solution of Destin compares to other storage facilities. We are happy that you came here from a referral. Highly recommended as best storage for the price in Destin! Allen, Thank you for leaving a review for A Storage Solution of Destin that you would recommend us. As a reminder we have a great referral program. Review is for Destin location. Fabulous facility, professional staff and very friendly! Thank you for taking the time to leave A Storage Solution of Destin a review. We are happy to hear that the facility meets your needs. If you should need additional moving supplies, please stop in. Mike, your kind words were very nice. We are happy to hear that about our staff. Thank you for taking the time to leave a review. Nick, Thank you for leaving A Storage Solution of Destin a great review and that you highly recommend us to other people. Do not forget about our referral program. While you still have a storage unit with us, if you refer a customer to us you will receive a $25 credit. Makes moving a breeze! Awesome staff! Just moved to Destin and found this place based on its already great reviews. It didn’t disappoint! Extremely friendly and welcoming staff, they run specials and gave me a great deal on a 5x10 climate controlled, and the facility is spotless and well maintained. Moving in was easy with the arts provided all day, large elevator and unit door sizes. Very pleased in the early going with my choice and highly recommend! Ben, We are happy to hear that moving was a breeze for you. A Storage Solution of Destin is always trying to find out better ways to help our customers. Thank you for taking the time to leave us a review and reading the reviews customers have left. Great rates, great facility and friendly people! I've used A Storage Solution of Destin before, they have really great people working the desk. Always helpful and friendly and reasonable rates. You can even rent a truck from them for very good prices to move in or out. I'll definitely keep using them if I need storage. Marianne, Thank you for leaving A Storage Solution of Destin a 5 star review. We are happy to hear that you return to us when you have storage needs. Please keep us in mind for your friends. David, Thank you for all of the kind words and checking on your storage unit often. A Storage Solution of Destin is a one stop shop, from storage units, to moving supplies, to local Uhaul Service. Super easy rental process. Friendly, convenient and accommodating staff! Highly recommend A Storage Solution of Destin. Greg, It is always nice to read such kind words. 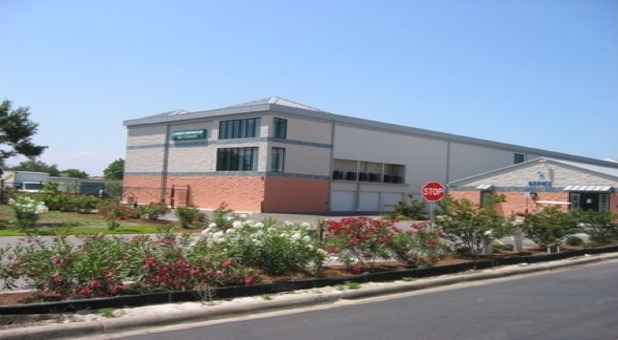 A Storage Solution of Destin is conveniently located off of Harbor Blvd (Highway 98) in the heart of Destin. We are always finding different ways to make the process easier. I just moved into town from a large home to a small apartment and I was worried about good self storage locations in Destin where I could leave whatever I couldn't fit at home. Well, I found this one and No Worries, No Regrets. Very friendly staff, clean and very secured place with live cameras all over the area. All of that for a fare price! Rene, Thank you for taking the time to leave A Storage Solution of Destin a review. We are happy to hear that you made a great choice when you found us for our storage needs. Please let us know if there is anything we can do for you. Great location! Minutes away from our items! Exceptional staff and trustworthy storage facility!!!! I must say we have had a great experience and very satisfied with Storage Solution!!! Tabatha, Thank you for taking the time to leave A Storage Solution of Destin a review. We are happy to hear that everything was exceptional and that the experience was great. That is happy to hear as we are always training to do better. Place is great. Very tall so I was able fit a lot of stuff! Cyrus, Thank you for taking the time to leave A Storage Solution of Destin a five star review. We are happy to hear that the temperature controlled storage unit meets your needs. Yes, the tall ceilings do help you fit more if you are able to stack. Please remember to check on your things often. Using the climate controlled facility. Great space and friendly staff. Edmund, thank you for taking the time to leave A Storage Solution of Destin a review. We are happy that you find our temperature controlled buildings meet your needs. Our staff is always working hard to please everyone and to keep the facility clean. Stop in and drop off a canned food before the end of November. We will give you a $10 credit on your next months rent. Glad we found this storage facility. Very clean and easy to get items in and out. Great customer service,too! CA, Thank you for leaving A Storage Solution of Destin a five star review. We are always working to make things better for our customers. Please let us know if you need anything. I lost my home due to Hurricane Michael, and being displaced and lost, I feel very fortunate to have found a location to put new items. Very safe and clean. Nancy, We are sorry to hear that you lost your home because of the hurricane. We are glad that we had a unit. If you should need anything, please let us know. As a reminder to check on your things. Great Location, Friendly staff with a quick and easy process. Amanda, Thank you for taking the time to leave A Storage Solution of Destin a review. We are happy to hear that the process was quick and easy. We are always trying to find ways to make things better for our customers. Great storage facility. Friendly staff. Efficient. Best rates around. Good units, clean, convenient and it's available 24/7!! Can't get better than that! Michele, Thank you for taking the time to leave A Storage Solution of Destin a review. It has been very hectic these last few weeks. We are happy that we meet all your needs. Please remember to check on your items often. Needed a unit fast after the hurricane and they came through. Very helpful and polite. They even had packing material I needed and saved me a trip. Ryan, Thank you for taking the time to leave A Storage Solution of Destin. The hurricane has affected many people and we are glad we had units to meet your needs. We are glad that you were able to find everything you needed. Please remember to check on your items often. If you should need anything else, please let us know. Needed a storage fast and and didn’t want to spend a fortune but still wanted to make sure our items were safe. We actually canceled a different unit somewhere else and booked with these guys, very professional. Made our move easier. Cassandra, Thank you for taking the time to leave A Storage Solution of Destin a 5 star review. We are glad we could help you in your time of need with the recent hurricane. Please remember to check on your items often. Amazing customer service, very beautiful site that is clean, well light up, and has great rates. Desiree, Thank you for taking the time to leave A Storage Solution of Destin a review. We are happy to read all of the positive feedback. We spend a great deal of time with the upkeep of the property. Clean, safe, secure, friendly staff and location is convenient. Allison, Thank you for taking the time to leave A Storage Solution of Destin a review. We are happy that you came back to us when you needed storage again. We hope that the temperature control unit works well for you. Please do not forget about our referral program. The location in Destin is awesome, very central. Its a perfect place for me to store my things while waiting to move into my house. Facilities and units are very clean. Many size options for the units, one will always find the perfect unit. Ashleigh, Thank you for taking the time to leave A Storage Solution of Destin a 5 review. We are glad that you feel the facility is clean, we work very hard to keep everything clean. We should have a size to meet anyone's storage needs. Please do not forget about our referral program. On 8/27/18 we rented an exceptionally clean climate controlled unit with A Storage Solution of Destin LLC. Customer Service was excellent! Warm, friendly, professional staff gave clear concise information and direction as we completed the process of reserving our storage space. Best In Class Service and Product. Highly recommend these professionals if you have need of clean, secure storage and value excellence in customer service. Thomas, Thank you for taking the time to leave A Storage Solution of Destin a review. We are always training and working on our customer service to better serve everyone. Reserved a climate controlled unit online and it was waiting when I got to town. Took only about 10 minutes to do the paperwork and the unit was as expected. Great experience so far! Todd, Thank you for leaving A Storage Solution of Destin a review. We are happy that your move-in experience was great. You can also rent a unit via our website. If you should need anything, please let us know. Very happy with the facility. They treat me great and I will be storing here in the future! Michael, Thank you for leaving A Storage Solution of Destin a review. We are happy to hear that the facility meets your needs. Please stop in the office and take some referral coupons. You will receive $25 credit for each new tenant you refer to the facility while you still have a unit with us. Excellent service! Nice facilities! I'm very happy that I decided to rent here! Jason, thank you for taking the time to leave A Storage Solution of Destin a review. We are happy that you decided to rent from us. We are always doing are best to make things better. Just rented for the THIRD time with A Storage Solution of Destin and they are AWESOME every time!! Best price in the area, clean, secure, friendly, and easy access. HIGHLY recommend! Thank you for taking the time to leave A Storage Solution of Destin a review. We are happy to hear that you always come back to us for your storage needs. We are always busy working on something at the facility. This is the second time I've used A Storage Solution in Destin and I cannot say enough good things about my experiences...both times. The facility is very well kept and the staff are both helpful and very pleasant. And the cost? VERY reasonable. Totally recommend them hands down!! Amy, Thank you for taking the time to leave A Storage Solution of Destin a review. We are happy to hear that you keep coming back to us when you have storage needs. We currently have units both regular and temperature controlled to meet your storage needs. If you should need any moving supplies, please stop in the office. Alan, Thank you for taking the time to leave A Storage Solution of Destin a review. We are always busy working on something around the facility. Please let us know if you should need anything. Moe Munee I was actually referred to A Storage Solution of Destin from a local competitor. I was given a unit quickly and the exact size I was looking for. Very helpful and accommodating. Thank you for taking the time to leave A Storage Solution of Destin a review. We work with our competitors as much as we can to help us all out. If you need anything, please let us know. recently rented 10x10 (unit 3049) and are really happy with these guys..got first month 1/2 off. have used these guys 5-6 other times and it's why we trust them with our valuables. Michael, Thank you for taking the time to leave A Storage Solution of Destin a review. We are glad to hear that you are a repeat customer. We do run specials from time to time on select units. If you need anything, please let us know. C. McCreery, Thank you for taking the time to leave a review for A Storage Solution of Destin. We appreciate your business and taking the time to rent a storage unit via the 24/7 kiosk. We have a kiosk outside the office that allows you to rent a unit or pay your bill. However, please know that it doesn't give web specials or the ability to rent parking spots. Ron, Thank you for taking the time to leave A Storage Solution of Destin a review. You are a lucky person that your jet skis fit inside a unit. It all depends on the year and make of the jet skis as to if they will fit in the unit. Be safe out on the water. We have used A Storage Solution of Destin several times over the years and have always been impressed with the facility and the people! Very clean, and safe. Staff is friendly and accommodating! Easy to use and I really like having 24hr access, a lot of other places don't offer that! Kasey, Thank you for taking the time to leave A Storage Solution of Destin a review. We are happy to hear that every time you come to us you are always impressed. Amanda, We at A Storage Solution of Destin thank you for taking the time to leave a review. We are happy that the rental process of quick and easy. We do our best to get you in and out and on your way. If you should need any boxes, please stop into the office. Christine, Thank you for taking the time to leave a review at A Storage Solution of Destin. We are always training and finding ways to improve your customer service. We are glad that we met your needs. If you should need storage in the future, don't forget about us. You made everything very easy-online payment convenient. Brian, Thank you for taking the time to leave A Storage Solution of Destin a review. We are happy to hear that the online pay made it easy for you while you traveled with the military. Current customers only need to register their unit at storageoh.com to make online payments. We wish you the best in your move to a new area. Customer service is outstanding, pricing was best deal and town and worth every dollar. Thank You!! Shanna, Thank you for taking the time to leave A Storage Solution of Destin a review. We are happy to hear that our office staff met your needs. Do not forget to stop into the office to get boxes or other packing supplies. Thank you for being a customer. The customer service was outstanding. The promptness and helpfulness was appreciated. Easy to complete long distance and unit was clean and ready when we got there. I will use you next time if I need a storage whenever we move again. We have enjoyed the security and convenience of your facility for almost 8 years and appreciate the customer service we have enjoyed. Thank you for operating such a clean, safe building. We are in the midst of moving to Destin from Asheville in the middle of Hurricane Irma. I have had to arrange everything over the phone and my movers just delivered all of my things in Destin this morning. The facility took care of everything and couldn't have been more helpful. In a great place and very secure and I will use this again. I appreciate the good service I got over the years and the only reason I'm leaving is I now have a place to park my boat. After looking around and comparing prices for storage units in Destin, I got lucky to run across A Storage Solution of Destin. The area is gated, the staff is professional and very helpful, and The price is great! I'm very pleased with A storage Solution of Destin. I will defiantly be using them again in the future and will be referring them to all of my friends. I have used this place twice and it has been great. You've been great, attentive, fair and a real pleasure to deal with. I have a storage unit with A Storage Solution since May 2015 and I am VERY pleased with everything. The property is clean and secure. The staff is very professional, helpful and friendly. I will definitely suggest this business to anyone. The staff was so helpful and quick. They helped me with choosing the best unit for me and it was perfect! Very clean, safe and affordable. Would recommend them to anyone! Great staff, good location, and always clean! I recently rented a unit from A Storage Solutions of Destin and am pleased with this choice. The friendly staff, good location, cleanliness, and security of the location made the choice easy. I would definitely recommend A Storage Solutions to anyone looking for storage. Works well for our needs. Close and convenient with affordable rates. Wow, best prices in Destin AND fort Walton! After comparing prices at every location in Destin AND fort Walton beach, I was very surprised to find the best prices HERE , right in the heart of Destin! I called about pricing and showed up shortly after to rent a unit. The staff was very friendly and the property is EXTREMELY CLEAN AND SAFE! So happy I came here! Thanks guys! The staff is very helpful and accommodating. The units are clean. I had been to 5 different places and this was the only place that let me see a unit. The front seat was really nice. Great location! Units are clean and the climate control is great. Very easy access 24/7/365, surrounding area is very clean and well maintained. Excellent customer service! Everything is under camera surveillance. Super clean. Convenient and nice folks. Paying for storage is rarely fun. But, I def appreciate doing business with nice people who offer great service. Very clean and well organized facility. The management was very professional and the facility clean and well organized. Great experience!!! Fast & easy!!! Best storage rental experience I've ever had! The kiosk outside made paying for my unit & getting in to it that night fast & easy!!! Would recommend to anyone!!! on of the best storage facility i have seen yet.. They are all around a great facility. Great rates, very convenient and some of the most amazing workers there too! Friendly Staff. Very Clean, Great security. our family has been storing there since they were first opened and we have had no issues ever. This storage facility is great, the staff is very friendly and it was easy to get all my questions & concerns addressed. I made the best choice with this storage facility. The staff are so friendly and the facility is so safe and secure. It doesn't get any better than this! After a long, stressful day of driving and searching, we ended up going with this facility. We are SO glad we did. Compared to many of the others in the area, this place is by far the best! Well-lit, clean, friendly staff, 24 hours, competitive pricing, etc. Even on the second or third floor, there are carts, elevators, and large hallways to help you with your belongings. I will highly recommend this place to others who need storage! Best rates locally, right in the middle of Destin. Staff was very friendly. Recommend them to anyone needing a storage unit. I thought the managers were great and the security was appreciated. Why cant every company I deal with be so convenient and affordable? I have had a storage unit with this company for he last 5 years and they are awesome always helpful and friendly. Great prices and location. Friendly service. clean and secure. What more could you want? I have been renting since August of 2013, and they have been wonderfully priced and very secure. Also very helpful staff in the office. I use storage solutions of Destin and find that they have reasonable rates and the place is clean and safe. I came from out of state to take care of my late brother's property and went to A Storage Solution. They were friendly and helped me right away, showing me a unit and then promptly taking care of the lease agreement. Hassle free which was good at my time of grief. Property was well maintained and I had confidence in my decision to rent from the friendly folks here. Highly recommend. Great places to go, and the varying sizes make it easier to decide how much space you need. Well placed and very secure. Very well maintained, centrally located, gated, knowledgeable, friendly staff, 24 hr access. Many storage options. Free truck available with move in. I have rented there on three different occasions. Highly recommended. We received a great price using the "half off first months rent" promotion. Great, climate controlled unit, security cameras, and management lives on site. Easy access, friendly staff and affordable! Great experience. Easy to reserve a unit online, friendly staff and clean, well maintained facilities. Storage solutions had a friendly staff clean facility, and centrally located in the heart of Destin. So happy we found this place . I have been using a storage solution for 7 years and they are by far the best in the area! They have always accomadated me for my personal and busines use as well as parking spots for recreational and business vehicles. They have outstanding billing notification as well as a 24 hour payment machine out front. theier security is absolutely the best!!! Great safe storage company that is reasonably priced and has a very kind management. Centrally located; nice, big units with high ceilings! Outstanding Staff. I was unsure of what size unit to get and the knowledgeable staff helped me pick the right size unit. The premises is always clean, but the exit gate key pad needs to be moved closer for better access to exit the lot. Thank you A Storage Solution of Destin for a great first time storage experience. The staff was prompt, friendly and informative. My climate controlled unit is clean and easily accessible. Excellent service. Always helpful and friendly. Stop-N-Go Storage management employees at this facility really know their stuff! A short and easy application and ability to purchase a lock in the lobby made my trip a pleasure on an otherwise hectic day. AAA rating! Great location in Destin. Easy to get to any time day or night. Our unit was very clean and dry. Angelique, My husband and I can't thank you enough for assisting us with the two extra storage units in our time of need. You really helped us out in our time of need with our move back home to Toledo. We have spread the word here in Destin and Destin areas that anyone that is need of a storage unit should give you a call. Once again thanks for all your help. Very courteous staff and reasonably priced. Clean and nice units. Very pleased with this facility. Highly recommended! Excellent customer service upon move-in. Very satisfied thus far. Very convenient and accessible. Staff is very helpful, and units are very nice. Super easy move in process. Raelynn was very helpful. Our unit was clean. The overall layout of the facility made it very simple for our movers to get the truck in and out of the facility. After a long drive to Destin it was great to be greeted and treated with courtesy and very efficiently. The unit was clean and ready and it was a pleasure to work with them. I would use again. Great experience with ease of renting the unit! Friendly & accommodating staff...nice climate controlled unit! I was having a hard time finding storage space in Destin after my resent move from Alaska. Storage Solution had exactly what I wanted and is price right. The security is great with each unit alarmed. I would highly recommend to all in the area who need space. We are very happy with A Storage Solution of Destin. The units are climate controlled and very nice. The staff is easy to work with and friendly! We're glad we chose this facility! Your staff was friendly and helpful. Had no problems getting a unit and the rates are great! Glad we found you guys!! Thank you to A Storage Solutions of Destin! The staff was so helpful and they made my storage needs easy to manage. Great Facility and Staff! Went above and beyond to come in and loan their moving truck to me on Sunday (only day they are closed)! Great perk of using A Storage Solution! Bob from point of contact went above and beyond trying to get the right unit for my business. He even called me back within five minutes to give me a move in discount. I would use this anytime. This is our second time using this facility. Everyone has always been more than accommodating and the units are always clean! Not to mention how affordable they are!I would recommend them to any of my friends or family needing to store items for an extended period of time. Thank you guys for all of your help and services! I thank Joe, a very courteous person managing the facilities who really helped me with politeness and good attention. That made a big difference and I will definitely rent again from Storage Solution and I will recommend you with my friends . This facility is always clean and secure. They are helpful and friendly. I do think it would be helpful to all the clients if they provided a dumpster for trash. Hi....when it comes to storage, it really comes down to service and unit size. A Storage Solution has both. A friendly staff, and they let you look at a unit BEFORE you rent it! Small or large, storing or moving, temp controlled or just a unit, it's all here! I've used this place in the past and I now have 2 storage units that I rent now. I've always been happy with them. I like the staff and that the place is ALWAYS super clean. They also have very reasonable prices compared to a lot of the other ones I've looked at. I always recommend friends and family. Great prices for units with ac, very helpful staff and clean facility! Just rented a 10x20 unit. The office staff was so very helpful and efficient. My unit was clean and the whole complex was so well maintained. A Storage Solution made our move-in experience easy. Alexis, in the office, was especially helpful at answering all our questions about rates, coupons, truck use, climate control, and hours. She showed us the units to help us decide what size unit we needed. They have a truck (with hand truck) that you can use for several days after your initial rental, to move in; this was really helpful. The truck was not available right away on the day we rented, but A Storage Solution called us later that day when the truck became available, so we were able to use it to move in that same day. A tip would be to reserve the truck ahead of time, so that it is definitely available on the day you want to move in. The facility is clean and secure, with a key pad to enter and exit the storage areas. There are big elevators and flatbeds to help move into units on the 2nd or 3rd floors. Check the website for all sizings and rates, and maybe even an online coupon to print before you go in to rent. Very clean and protected. I feel very safe when I go to my storage unit. They are very helpful and courteous in the office. So glad I found this facility! I have been a customer for over a year and have found this facility to be very clean and secure. excellent facility. Very secure, climate controlled,clean! Very helpful staff. Glad we found it. I moved into this facility yesterday and they have been professional since I came into contact with them. The facility is extremely clean. The people who work there are very nice and helpful. They even referred me to movers which were also very professional. I trust that my storage experience with them will be easy. Very Clean. 24 hour access which is great. Very secure. Very reasonable storage rates. Facility has 24 hour access for military guys like me that may need to access the unit at all hours of the night. Storage grounds are always clean and equipment is always operational. Staff is great! The only reason I didn't give it 5 stars is because they are one of the very few storage businesses that does not offer military discount. A Storage Solution of Destin has clean units. I would rent from them again. Always courteous staff, helpful in both inside and outside (when they had it) storage needs. Reasonable prices, would rent space from them again. I always had great service there; from the time I needed a storage unit (eventually 2! ), until the time I moved and no longer needed any services. The customer service was great, the prices were better than most in this area, and it was easy to locate. Staff very helpful, professional & courteous. Gave personal tour of units with helpful information. Good value plus the use of a truck locally is an added benefit. A Storage Solution of Destin has been great for me. We have had no issues at all with them, and they have great customer service!! Highly Recommended!!!! I used the Destin location and waz extreemly saticfied with there professional managment and over the top assistance. I would hightly recomend them to locals and use them again in the future! The BEST storage facility, courteous staff, neat and clean at all times. I'm a long term customer. Being retired military I have traveled the world. I have not had a better storage place period! The walk up Keyos is awsum! The ability to use large carts and AC units is without a doubt rewarding at best. Thank, I tell all my clients to use your storage company! I would rent here again. The Company that I have worked for now more than 6 Years has used your Company many time on several different jobs. Your Company has always been very nice and professional. Thanks for all your hard work to make my job easier. Destin Storage in Florida has always been reliable and communicative over the past several years. I have nothing but positive comments to share. Thank you for your service. I am so TOTALLY PLEASED to have my personal items at the Storage Solution of Destin. Everyone was so helpful in getting everything set up. I have told all of my friends about Storage Solution because I want everyone that needs a storage unit to come to Storage Solution and have the great same experience I have had. The property is so clean and kept very well. No matter what you need everyone is ready to help and they are very professional. Great storage facility. Plenty of carts to move your stuff and storage units are well lit and clean. Prices are pretty good too. I would highly recommend it. Great storage facility, I highly recommend it! Clean units & facility & easily accessible anytime. Awesome service, clean and well managed. First rate facility. I have rented storage units over the past 30 years and have never been as happy as I have been with your unit. The staff is always helpful, the unit and grounds is spotless. Reminders on payments are always helpful. I would and have recommended this facility to lots of people. Thank you for being so kind in a world that is usually not!! I have had a great experience so far. Well guarded facility, great service and a very clean property. the experience I've had in the past and present. I like that I was able to use their truck to move it. I like that they gave me half off 1st month rent and I'm also VERY satisfied that since I was a previous tenant, I was able to get a discount. I had referred friends and family there. I have one family member that rents a unit because of my experience I've had. Thank you. They went above and beyond for me! Due to my work schedule, i was not able to come in during their normal hours. Their kiosk was a GREAT find! Even with the kiosk, the lady still came outside to make sure everything was working correctly and mind you, this was 8PM!!!!! Also, I needed to move storage units and was able to do this and pay over the phone and then later that night, just run in and move the stuff a few doors down! Great people, great customer service, by FAR the LOWEST PRICES ON CLIMATE CONTROLLED. I love them, i tell everyone about them. I work for a moving company so- its a great way for the word to spread! Simple, clean, and convince...I have my Harley stored here and I feel it is safe and out of the weather. Thank you so much for providing such a great service and facility for our storage needs!! Everyone is always very helpful and nice and the facility is always clean and very well kept! I recommend all of my friends to you!! I would rent here again. For the last 5 years I've always known all my valuables/sentimentals were safe and sound. Me and my friends visited A Storage Solution of Destin for the October fishing rodeo 2012. We called ahead to discuss a trailer parking spot for our boat and were treated extremely well. Upon arrival the spot was perfect and the manager treated us extremely well and was very informative. Would use this facility again. The grounds and units also appeared to be kept up extremely well.